39.3" x 29.4" stitched on 14 count. 30.6" x 22.9" stitched on 18 count. 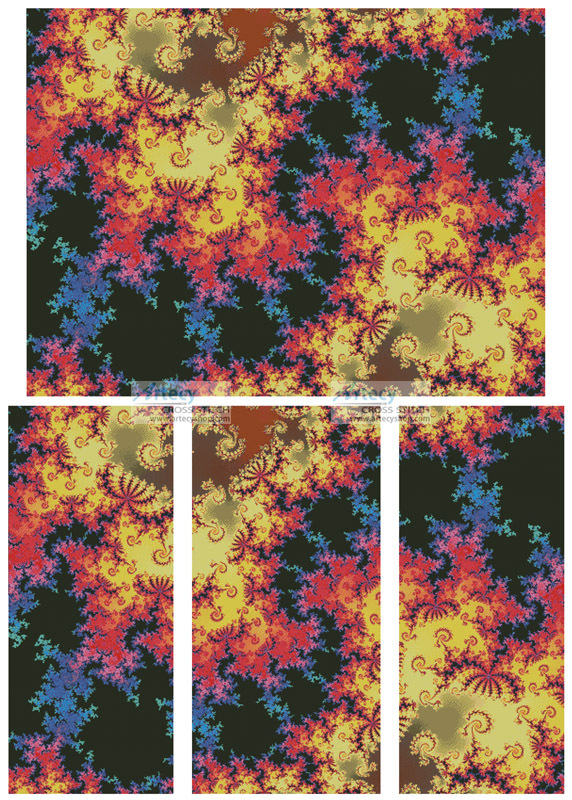 Fractal Abstract 2 (Large) cross stitch pattern... This counted cross stitch pattern of a Fractal design was created from Artwork by Irina Pechkareva. Only full cross stitches are used in this pattern. It is a black and white symbol pattern.